Tom Morrison sorts boxed orders in the L.L. 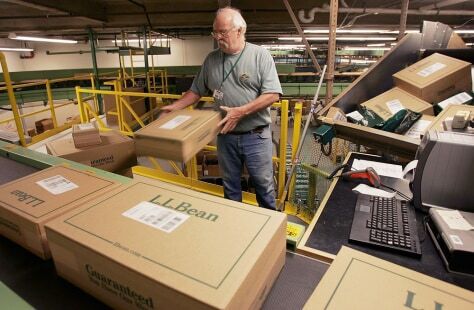 Bean shipping center on "Cyber Monday," the online retail world's version of Black Friday, Nov. 28, in Freeport, Maine. L.L. Consumers are turning more optimistic about the economy just in time for the holiday shopping season.